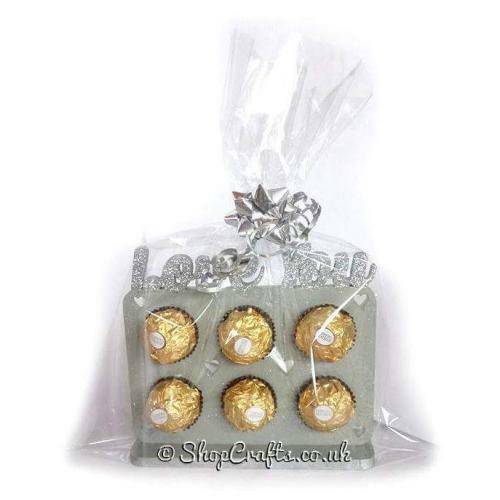 Let us help you give the element of surprise by selecting the filling and we will gift wrap and send direct to your loved one. 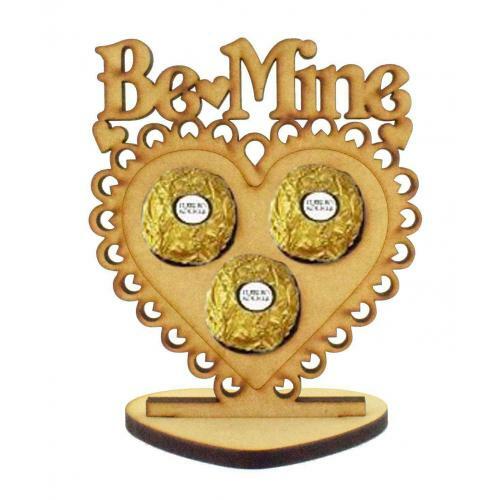 “Love you” is always a term of endearment used at Valentine’s Day, so why not gift your loved one their favourite treat; Ferrero Rocher, Lindt chocolate or make it a pamper gift with mini bath fizzers. 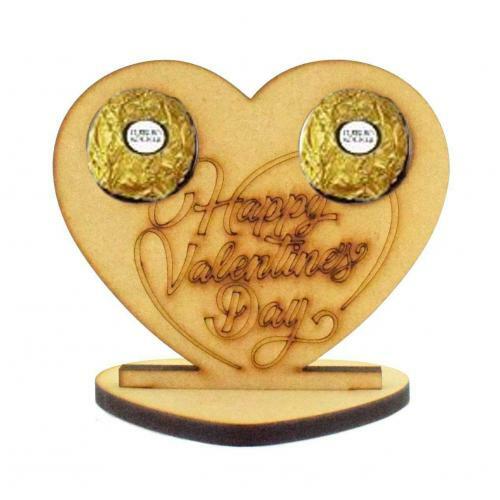 With this innovative designed holder, you can surprise them regularly by refilling the holes as and when you want to give them a spontaneous token gift throughout the year. 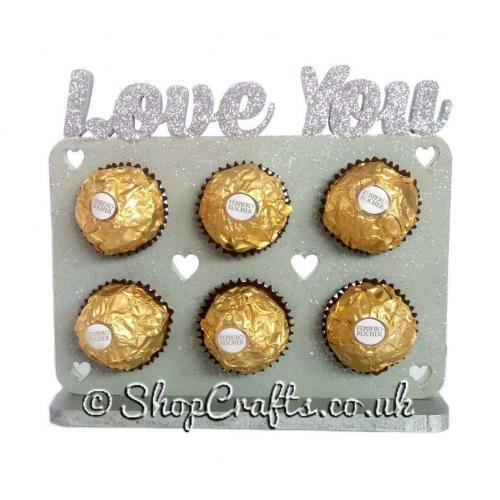 In the picture, the plaque has been painted a softened grey and edged with a metallic paint, whilst the wording and base have been painted and decorated with additional glitter and sparkly effects to make it have an extra touch of glamour. 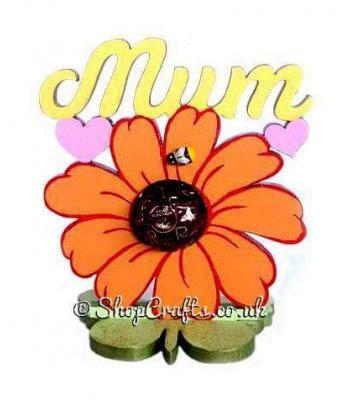 This was painted to order and allowed the recipient to have it out on display all year round as it fitted in with their décor. 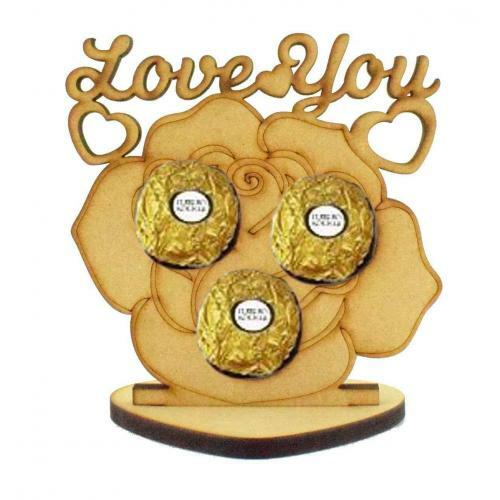 This item is fully decorated making it an item which can be positioned anywhere in the home to fit in with your decor. 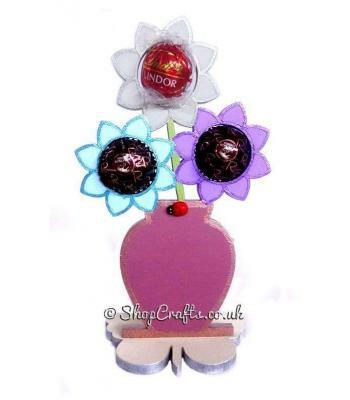 This item is part of a wider range of shapes to gift an assortment of different numbered chocolates or mini bath fizzers.